Maby you can come down for dinner we will take you out to eat as I told Gladys we didn't want to spend the day cooking and Sun we want to start home by noon. If you want any thing from here call or drop me a line. 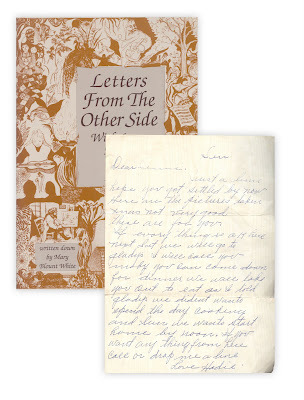 Found in "Letters From The Other Side: With Love, Harry and Helen." Written down by Mary Blount White Published by Upper Access Publishers, 1987.